Fitness Factor 3 | Get Fit. That's It. Love to work out in groups? Fitness Factor 3 is a personal training organization specializing in athletic training and fitness coaching for individuals of all ages and fitness levels. Our goal is to create an inviting atmosphere in which clients with a variety of fitness levels can accomplish their fitness goals. 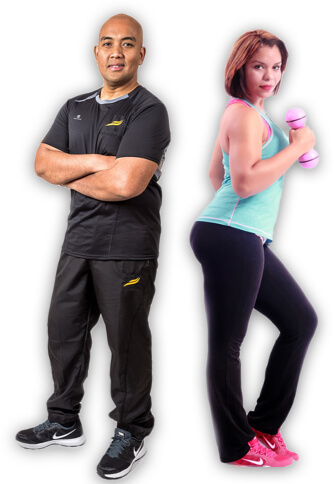 We help our clients enhance their athletic performance as well as general fitness level through the use of innovative fitness training, comprehensive nutritional programs, and encouraging motivational techniques. We utilize these three components to assist our clients in developing strength programs, solid eating habits, fun workout programs that last, and a renewed passion for fitness. Our all-inclusive training techniques will ensure that our clients improve every aspect of their physical fitness while reminding them that fitness is fun!